Experimenting entire new platform of Operating System from Android to Windows sounds bit annoying though changes are for good. 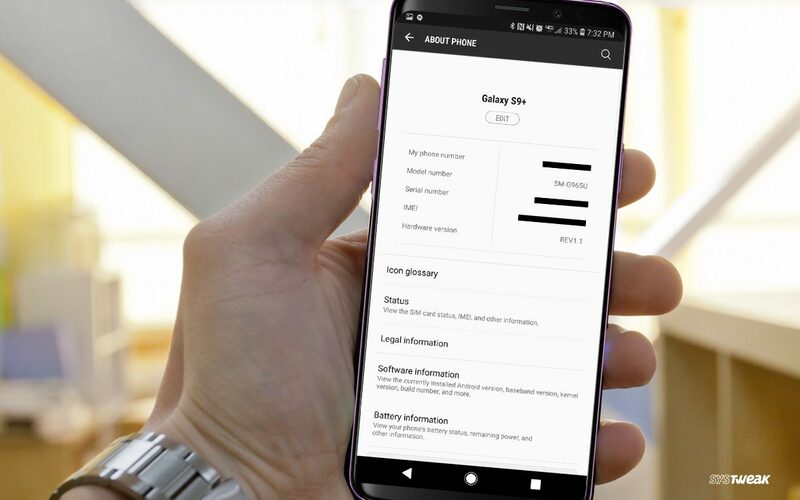 Nokia tried this experiment with Windows platform on Nokia Smartphones still failed radically and had to come up with their all new series of Smartphones using Android OS. Let’s see if Tablets also faced the same crunch or Microsoft Surface Go made it up. With our hands-on research, we have come up with analytical comparison between Samsung Galaxy Tab S3 and Microsoft Surface Go. We’re sure you will make a smart move after going through this article. Microsoft Surface Go appears bit muscular in front of sleek Samsung Galaxy Tab S3 as the thickness of Microsoft Surface Go is 8.3mm and Samsung Galaxy Tab S3 is 6mm which is 2.3mm thinner than Surface Go. Samsung Galaxy Tab S3 is also 93g lighter than Microsoft Surface Go weighing 429g instead of 522g which doesn’t feel bulky handy. Samsung Galaxy Tab S3 is comparatively smaller than Microsoft Surface Go in terms of dimensions like height and width however the difference is hardly noticeable. Both the devices come with a stylus (Pen) however miss out on weather sealed. Samsung Galaxy Tab S3 lacks an important feature available in Microsoft Surface Go which is detachable Keyboard. Samsung Galaxy Tab S3 supports 45.64% higher resolution than Microsoft Surface Go expanding up to 2048px x 1536px. Microsoft Surface Go supports 217ppi even though it has a screen size of 10” where on the other hand, Samsung Galaxy Tab S3 supports 264ppi with 9.7” screen. In terms of display, Microsoft Surface Go tops the chart with Branded Damage Resistant Glass, LCD Display with 3 Subpixels per Pixel, IPS (In-Plane Switching) Screen, LED-Backlit Display however Samsung Galaxy Tab S3 comes with AMOLED Display which makes it unique with high refresh rate. Samsung Galaxy Tab S3 comes with 2 x 2.15GHz & 2 x 1.6GHz (Qualcomm Snapdragon 820 MSM8996) processor which makes it even faster than Microsoft Surface Go. Both the devices support 64-Bit platform where Microsoft Surface Go has 8GB RAM and 128GB internal storage, in comparison with Samsung Galaxy Tab S3 with 4GB RAM and 32GB Storage. Samsung Galaxy Tab S3 tops the rank due to integrated TrustZone, Hardware Assisted Virtualization, Integrated Graphics, AES (for increased Encryption & Decryption), Big.Little Technology, Dynamic Frequency Scaling, NX Bit, and Integrated LTE (for Cellular Connection). RAM Speed of Microsoft Surface Go is (1866MHz) higher however GPU Clock Speed of Samsung Galaxy Tab S3 (624MHz (Qualcomm Snapdragon 820 MSM8996)) is more than double the speed of Microsoft Surface Go. In terms of picture quality, both the devices support 5MP front camera however Samsung Galaxy Tab S3 again tops the chart with 13MP rear camera where Microsoft Surface Go only comes with 8 MP main camera. Video recording through main camera of Samsung Galaxy Tab S3 (1440 x 30fps) is also superior than Microsoft Surface Go with (1080 x 30fps). Microsoft Surface Go has a CMOS sensor however lacks other features available in Samsung Galaxy Tab S3 as Flash Light, Touch Autofocus, Manual White Balance, Built-In HRD Mode, Panoramas in Camera, and manual ISO. Although both the devices have front camera however runs out of slow-motion video recording and front facing LED Flash light which is available in other devices. Both the devices are equipped with Stereo Speakers, 1 Microphone and a 3.5mm Audio jack socket however doesn’t support FM Radio function. Both the devices have rechargeable battery with Battery Level Indicator though removable battery and Wireless charging options are unavailable. Both the devices support FAST 802.11AC & 802.11N WiFi Connection, Gyroscope to track orientation, Type-C USB Ports, Voice Command Feature, Accelerometer to detect acceleration of device, however deficit features like Ethernet connectivity, Barometer, DLNA Certification, NFC (near field communication), and HDMI Output. Extra feature available in Microsoft Surface Go as Infrared Sensor & Multi User system doesn’t make much difference in front of others available in Samsung Galaxy Tab S3 as App installation on the device’s External Storage, Widget Support, Offline Voice Recognition, JAVA Support, Sharing Intents, Fingerprint Scanner, OPENGL ES 3.0 for Improved Game Graphics, Cellular Module, Compass, Child Lock, Bookmarks Sync Across Different Devices, Free Navigation Software, Taking Screenshot of Phone’s Screen, Search Browser, Voice Chat, Tracking Device function, GPS Navigation with Turn-By-Turn Direction, WiFi Hot-Spot service and many more. These additional features make Samsung Galaxy Tab S3 more user friendly, technologically strong and accessible device in front of Microsoft Surface Go. Both the devices miss out on few features like MAGSAFE Power Adapter, VGA Connector, Optical Disc Drive, S/PDIF Out Port however these are not essential for a Tablet user. 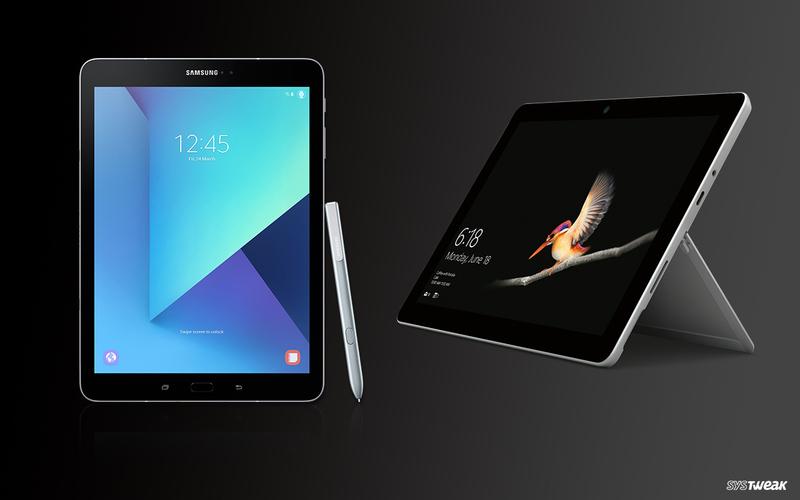 No doubt, with all these comparisons, Samsung Galaxy Tab S3 is best among both the tablets. 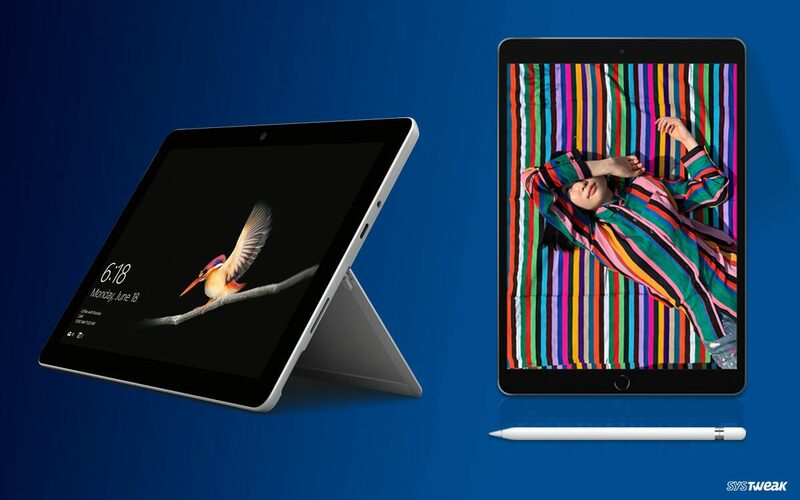 If you have deep pockets, you should go for Apple iPad Air (2019) rather than opting for Microsoft Surface Go however Android lovers will not give a second thought to Samsung Galaxy Tab S3.